This is the first of a set of emails from December 2004 describing my 3-week tour of the country on Amtrak. Stops on this tour included LA, Orlando, New York and Chicago. So what am I doing, and why? I am on my sabbatical. PalmSource is one of those few companies that still grants them. In PalmSource’s case, employees qualify for a four-week sabbatical after having been at the company for four years. As I approached that milestone (at the end of last August), I was planning not to wait very long, perhaps going in October. But the more I thought about it, and the more I talked to other people, I came to realize that if I slotted it in between Thanksgiving and Christmas, I could extend the time off to just shy of six full weeks. This is because PalmSource schedules as holidays the two days of Thanksgiving, one day for Christmas eve, and the full week between Christmas and New Year’s. There being 19 work days between Thanksgiving and Christmas eve, my sabbatical officially began the day before Thanksgiving (the 24th). I return to work on Monday, January 3rd. I know that Amtrak isn’t exactly the Royal Canadian Pacific: that train was a luxurious experience like no other. 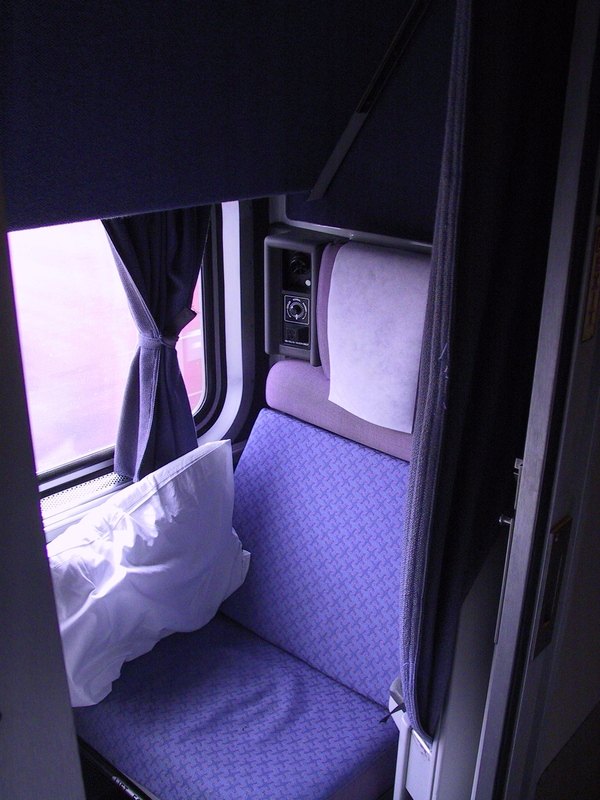 However, purchasing sleeping accommodations on an Amtrak train puts you in the category of first-class passenger, and first class passengers do get some nice perks. For instance, you get a daily paper and free meals, and your sleeping car porter will even deliver your meals to your compartment, if you so desire. There is a parlor car—with swiveling easy chairs, couches, tables, a bar and, downstairs, a small theater—exclusively for first-class passengers. 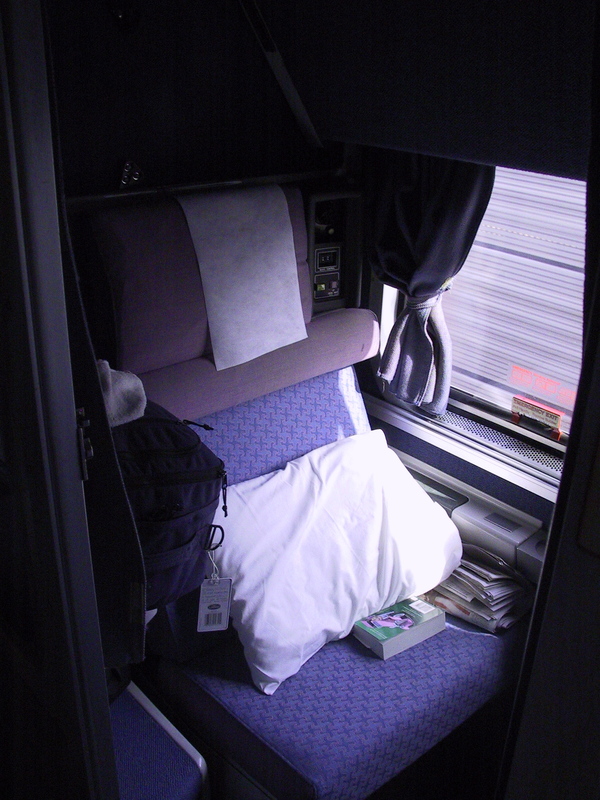 On the Coast Starlight (which travels up and down the west coast, from Seattle to Los Angeles), first class passengers can enjoy a daily wine tasting. Finally, in some of the bigger stations (New York’s Penn Station and Chicago’s Union Station, in particular) there is a special lounge for first-class passengers similar to what you find in some airports. There you get free food and drinks, and apparently there is WiFi Internet access. I put the first photos of the trip up on my website. Unfortunately because the train was running late a good portion of the trip was in the dark, and so photos (both inside and outside of the train) were tough. But hey, it’s a start… Check ’em out at [website deleted]. I’ll be sending out periodic updates on my trip, whenever I get to somewhere with Internet access (the hotels I’ve booked into all have it). Unfortunately I don’t have access from the trains, so the next “dispatch” will be sent from Orlando. 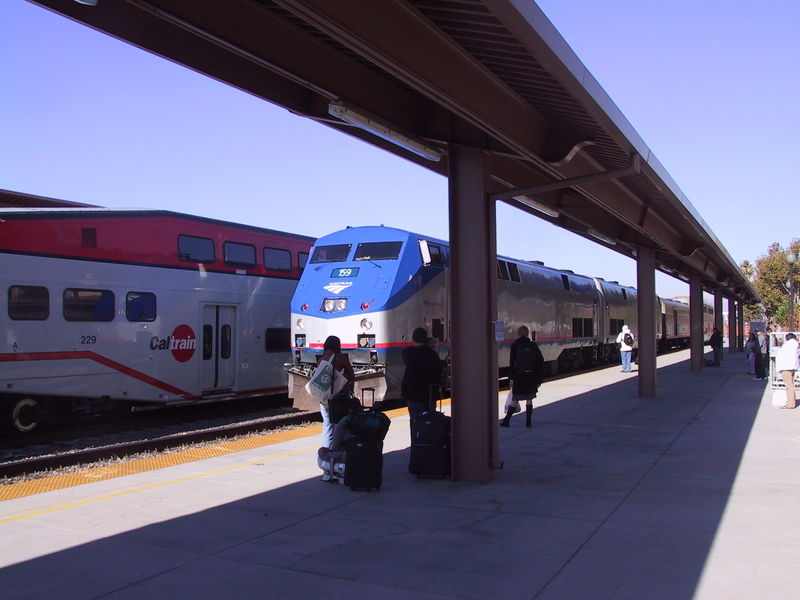 I’ll provide a description of both the San Jose-to-Los Angeles train trip, and the Los Angeles-to-Orlando train trip.